First off, let me say that if you’ve never been to NYC during the holiday season, put it on your bucket list. It’s beautiful, festive, and perfect time to see the city; so throw on your warmest clothes and get to NYC in December. 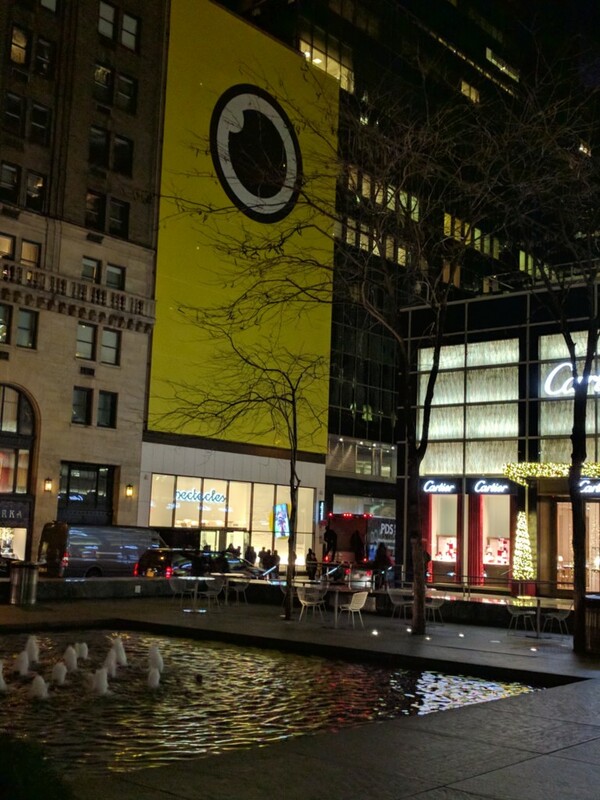 Another great thing about being in the Big Apple during December (of 2016 at least), is the opportunity to hit up Snapchat’s Spectacle store that just popped up last month right next to the Apple Store on 5th Ave. 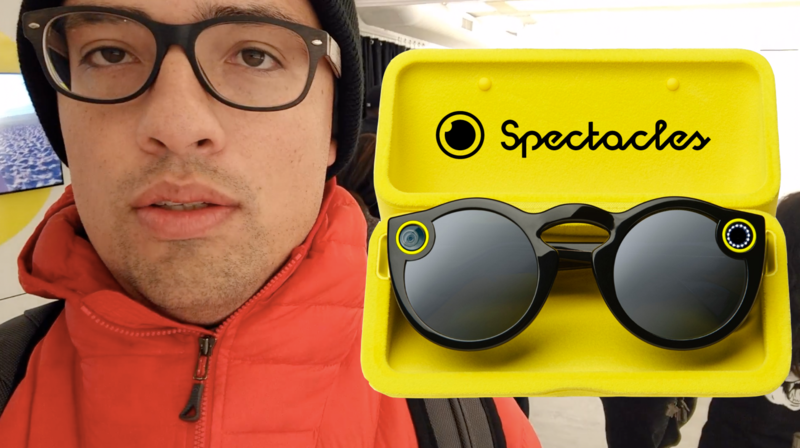 I had the chance to visit the Spectacle store and check out this new gadget. Let me walk you through the experience (which is in many ways is revolutionary) Snapchat is creating for their users as they dive into the world of hardware. The Snapchat store off of 5th Ave. in NYC. Snapchat has created a very unique buying experience around Spectacles. After releasing their first video a few months back introducing the new product and creating some immense buzz along they way, Snapchat has been deploying what they are calling “Snapbots” in random cities throughout the US since November. 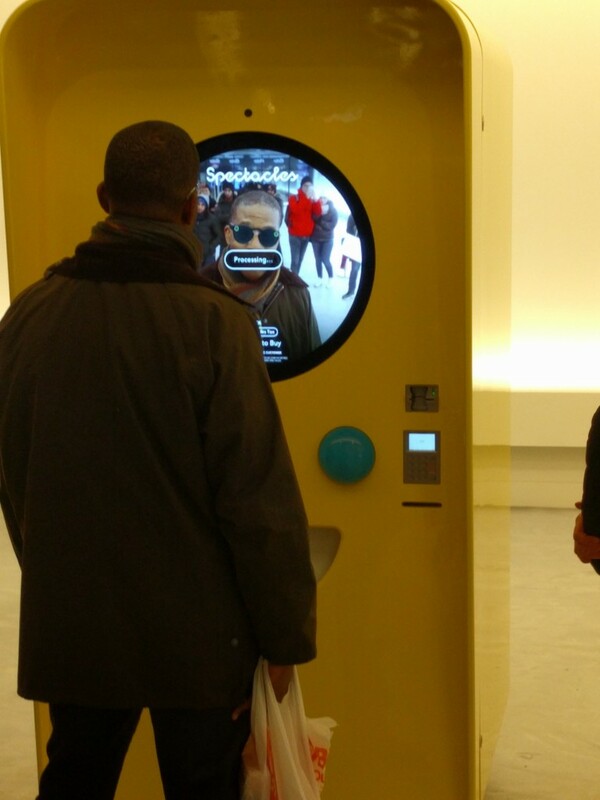 These Snapbots are simply Spectacles vending machines, but they add a uniquely futuristic vibe to the customer experience. From a marketing perspective this product distribution has been quite genius. In each city where bots have been deployed, Snapchat has generated all sorts of free press from excited Spectacle fans. Social media posts showing long lines, enthusiastic customers, and the exclusivity of the product, have created hype that couldn’t have been created otherwise. Each bot deployed has had a limited amount of Spectacles to sell, so many hopeful customers leave without product, which has led to Spectacles selling for hundreds or even thousands on ebay at times. Hype created — mission accomplished, Snapchat. When I first approached the store I tried to walk straight in — rookie mistake. One does not simply walk into the Spectacle store without a wristband… I should have known. I was stopped at the door by an employee (dressed in all black like a secret service member) that asked if I’d like a wrist band to return later that night. I arrived at around 8:30 PM and was given a wristband to return at 9:30. After wandering around the Apple Store for a bit and trying out Nintendo’s new Mario Run game, my wife and I returned to the Spectacle store. The line wasn’t long, thanks to the wristband program, which was nice. There was definitely a buzz in the air that can only come from hungry tech fans excited about the latest and greatest tech toy. We waited for about 10 minutes, just long enough to get some good photos and video footage of the line, and then found ourselves in front of the Snapbot. The interaction with the Snapbot is simple. There are three buttons on the machine, one for each of the three available colors: red, blue, and black. All the customer has to do is push the color they’d like, and try them on virtually using the large screen of the Snapbot. Guy in front of me “tries on” his new Spectacles. This feature functions exactly like the filters feature on Snapchat, so it’s a familiar experience for any snappers. Snapchat using it’s filter feature in the buying experience was creative and incredibly functional; well done Snapchat. Once I “tried on” the black pair, I was sold, and the next step was to simply swipe my credit card. As soon as the transaction is approved, the Snapbot thinks for a moment, then spits out the product. In another stroke of creative genius, your receipt is spit out of the machine as a rainbow, reminiscent to the classic Snapchat filter. That was it, simple and easy. No long lines, no packed store with loads of product options, no excess amount of employees (I think I only saw 5 or 6 employees working there and they were there just to direct traffic). The packaging is reminiscent of a tennis ball can. The lid is popped off and inside is the glasses case that also acts as a charging dock for the spectacles. There is also a small instruction booklet that walks you through setting up your Spectacles with your Snapchat account, a you USB charging cable and lens cleaner cloth. Now, onto the “how” of the Spectacles. Again, I feel like Snapchat has done a great job keeping the user experience as simple and easy as possible. On the spectacles there is one button, that button is used to turn on 10 seconds of video recording. You can shoot 10 seconds, 20 seconds, or 30 seconds of video at a time by pushing the button once, twice, or three times. It is important to note that the videos, even if you push three times for 30 seconds of video, are still broken up into three 10 second snippets. The video cuts clearly and concisely from one 10 second snap and it turns out great. My Wife and I. Spectacles looking good! The camera is built in on one side of the Spectacles, and on the other side is the LED light display that flashes when video is being recorded. This LED light is also how to check how much battery power is left. When you are wearing the glasses and shooting video, there is an LED light flashing inside the glasses next to your eye so you are aware when recording begins and ends. To check the battery life, all you’ve got to do is double tap the side of the glasses next to the LED light and it will light up and show how much power you’ve got left. Charging the glasses is simple. You can plug your USB charging cord directly into your glasses, or you can charge the glasses in the case. The case holds up to 3 charges and Snap Inc. says that each battery life will get you up to 100 snaps. The glasses look good. They look different, but good. The video quality is fantastic. Snapchat has introduced a new style of video, that shoots in a circle. It looks amazing on a smartphone and is meant to shoot “as the eye sees”. This feature is one of the coolest of all. Price point. $130 is not a bad price for a nice pair of sunglasses, add in the tech on these things and it’s a great deal. Video only uploads to Snapchat. Because they are sunglasses, you can’t really shoot indoors or at night. Interface between Spectacles and Snapchat App is slow and glitchy (was using Android Nexus 6p). 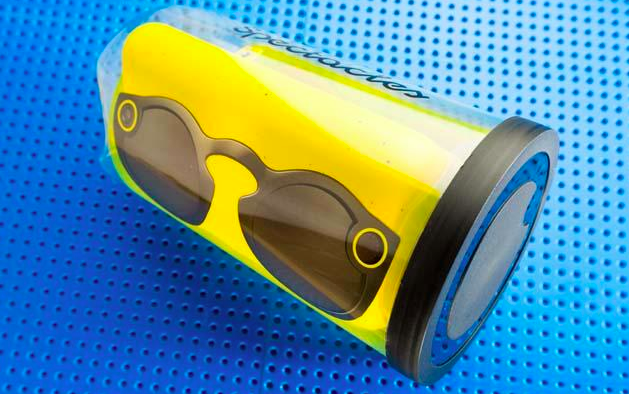 For Snapchat’s first dive into the hardware game, they’ve done a fantastic job. 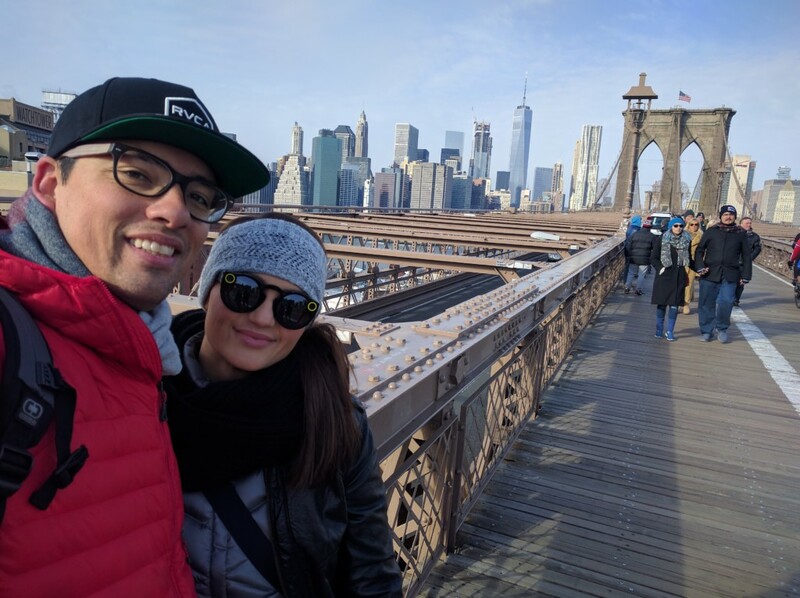 The marketing for the Spectacles has been stellar, the buying experience is exciting and full of hype, and the product itself is very well done for a first gen product. I look forward to seeing the product get better with time; I’m sure Snapchat will continue to make changes and dominate in this space. Husband and Father. President at MWI.